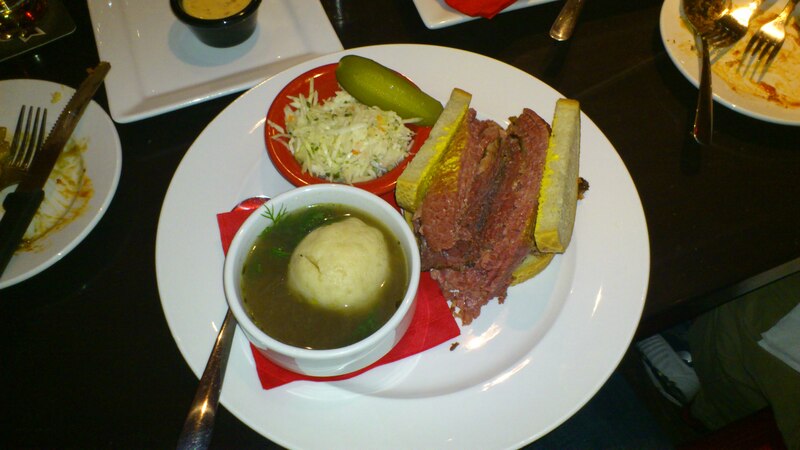 There’s a place in Montreal called Dunn’s Famous that’s been serving authentic Montreal Smoked meat since 1927 and they have recently opened up right here in Vancouver! Poutine, Smoked Meat, Cheese Cake, the holy triumvirate of must have Montreal staples are now made in the true Montreal style at 827 Seymour Street (at Robson) and I was recently invited by Cate Simpson of Simpson Public Relations, who handles Dunn’s PR, to come and sample some menu items. 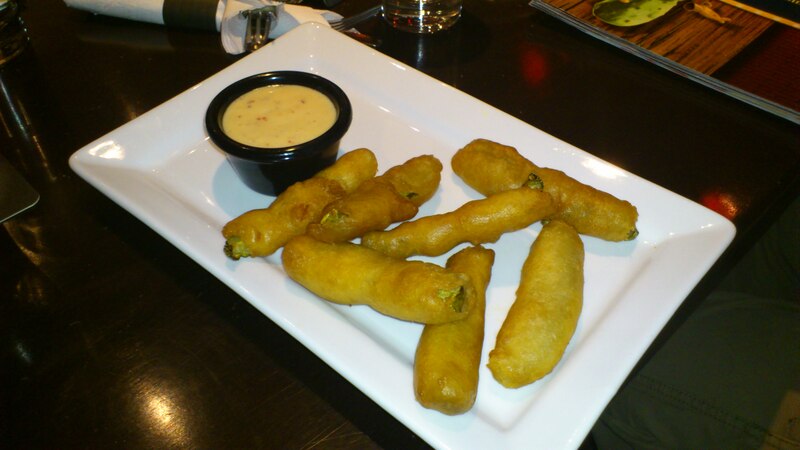 First up was some beer battered deep fried pickles, deep fried pickles are great. I know what you’re thinking if you’ve never tried them, you’re thinking that they sound gross. Well, you are wrong and the fact that every day there are more and more Vancouver restaurants serving them is proof, quit being a sissy! Next we tried 5 out of Dunn’s 6 Poutines. 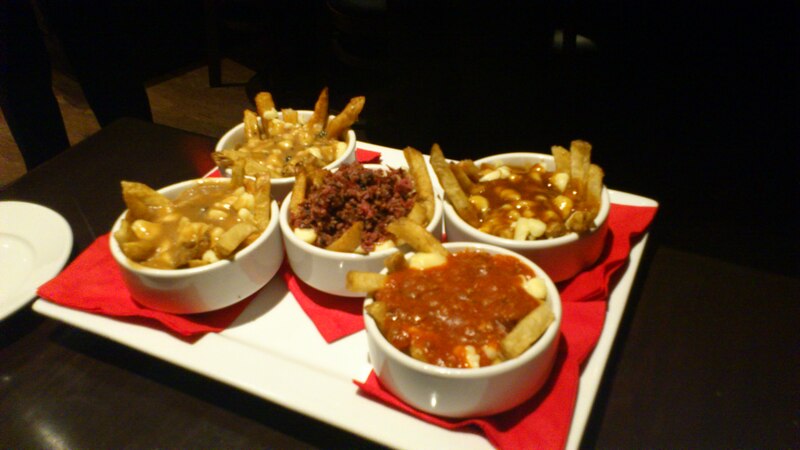 The Quebecoise (Cheese curds & Dunn’s special gravy), the Italienne (Cheese curds & meat sauce), the Peppercorn (Cheese curds & peppercorn sauce), The Dunn’s (Cheese curds, Dunn’s special gravy & chopped Montreal smoked meat) and the Vegetarian (Cheese curds, vegetarian gravy). My favorite was the Peppercorn followed closely by the Dunn’s, smoked meat on poutine, so good. The Quebecoise is the most traditional poutine and is a little different than I expected. Dunn’s special gravy has a little BBQ seasoning added to it giving it a distinct taste that’s quite nice but it was actually my least favorite. 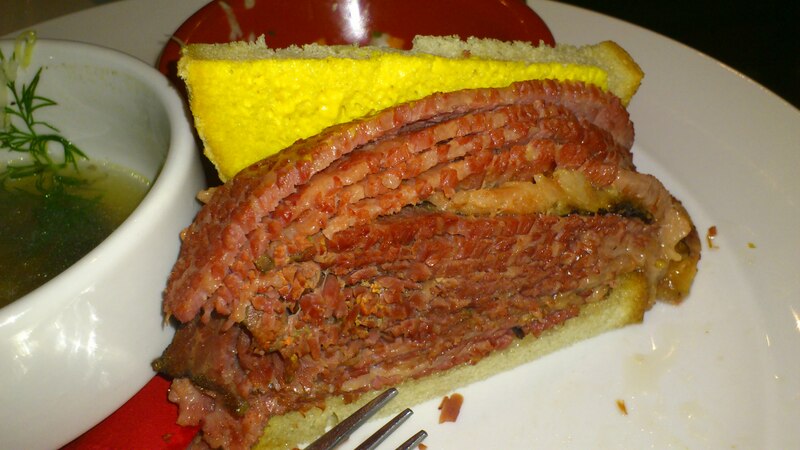 The smoked meat comes in 3 different cuts, lean, medium fat and fat. 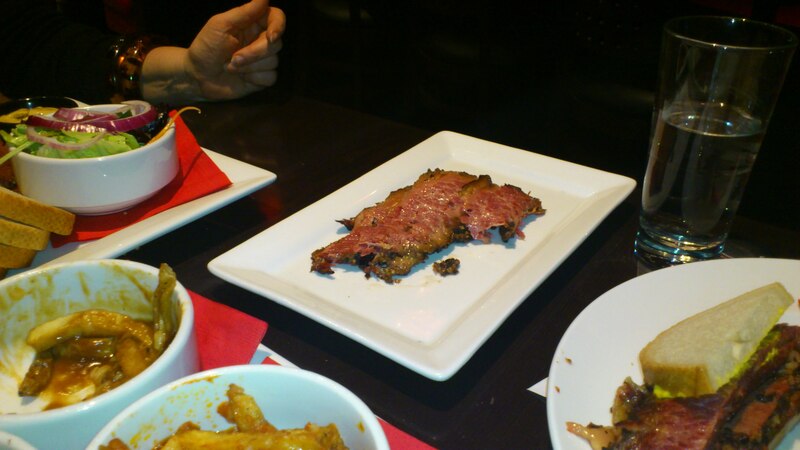 I had the medium fat in a Super Montreal Smoked Meat sandwich which has 6 ounces (!) of meat and comes with a choice of sides. I had Mazoh Ball soup which was great. The medium fat cut was nice and juicy with just the right amount of fat for a sandwich. The meat is steamed fresh daily and sliced to order and is very tasty and authentic. I also tried the fat cut which was delicious but probably life shortening. For dessert we tried the famous Dunn’s cheesecake which I’m told takes 5 days to prepare and uses a special cottage cheese brought here from Quebec. There’s no picture of this masterpiece because I started eating it before I remembered to take a quick shot of it…oh well you’ll just have to go and see it for yourself. It’s creamy and crumbly at the same time, magic.